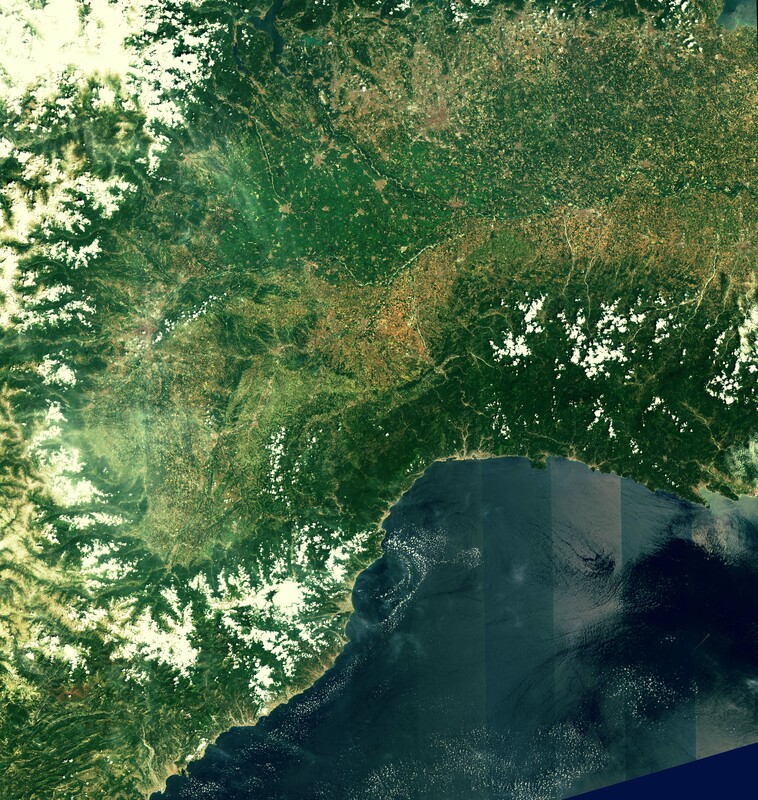 Taken just 4 days after launch, this first image from Sentinel-2A shows the coastal mountains of France and Italy. Each detector in the multispectral instrument has a slightly different viewing direction. These different directions translate into marginal differences causing the stripes seen over water. The first images delivered from Sentinel-2A showed us a glimpse of the ‘colour vision’ which will be used in the Copernicus environmental monitoring programme. The first images started in Sweden and made a vertical observation through central Europe, ending in Algeria. They were then sent to Italy’s Matera ground station ready to be processed. Italy’s typical sunny weather allowed the teams to study the multispectral instrument’s capabilities between them and France. Sentinel-2A’s imager has 13 spectral bands (from visible to infrared) which will allow land monitoring deliver results better than any other. This is the first optical Earth observation mission of its kind to include 3 bands in the ‘red-edge’ providing key information on the state of vegetation. In 2016, a third sentinel satellite will join the growing fleet. Sentinel-2B (2A’s twin) will allow optical imagery on a five-day revisit cycle. Keep an eye on our #ImageOfTheWeek for more Sentinel imagery. Celebrating 30 years for Surrey Satellites!